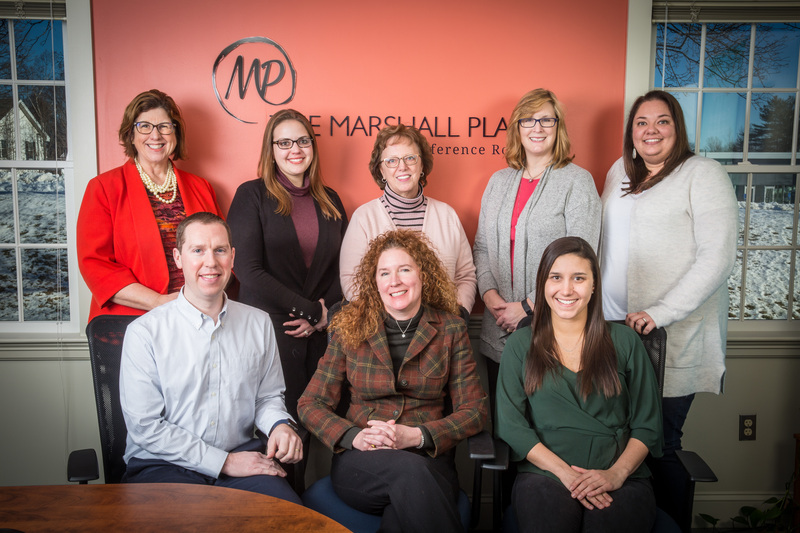 PORTLAND, Maine – Marshall Communications was awarded the Maine Public Relations Council’s top honor, Best in Show, for the third consecutive year at the council’s 2018 Golden Arrow Awards ceremony on Dec. 12, 2018. The agency also took home two gold awards and an honorable mention for its work, while the agency’s social media strategist was honored with the Rising Star award. Top row (left to right) Nancy Marshall, Whitney Raymond, Charlene Williams, Juli Settlemire, Jessica Donahue. Bottom row (left to right) Greg Glynn, Jennifer Boes and Megan Crowder. “As we approach our 30th anniversary in 2021, I realize that an agency is only as good as what it did for its clients yesterday. I learned early on in this business that your job is never done, and you need to continue to up your game. I am so proud now to lead a team of PR professionals who have the same desire as I do to do the best possible work, to continuously improve their skills, and to combine the best of traditional PR techniques with the power of today’s technology,” stated Nancy Marshall, The PR Maven® and CEO of Marshall Communications. Marshall Communications won gold for Orvis Look Books and for media relations work for Orvis’s 50/50 On the Water campaign. The Orvis campaign was also awarded Best in Show and the agency’s work on the Skowhegan Moose Festival garnered an honorable mention. In addition, Marshall’s social media strategist, Megan Crowder, won the council’s Rising Star award recognizing a young professional who has exhibited achievement and outstanding work in public relations.